I'm sure that a lot of you, like me, love to dabble in other media. On the other hand, is there really such a thing as "another media"? All creative pursuits seem to cross-pollinate at some point, so I'm not going to apologize for sharing this marvelous, eye-opening book with you here rather than on Mixed Media Artist! 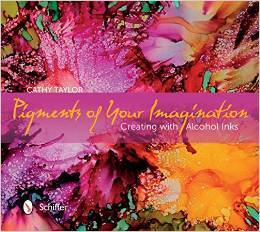 Alcohol inks are Cathy's love, and after you've browsed a few pages, you'll be in love too. Fortunately, the inks are readily available and fairly inexpensive. Nope, you won't have to mortgage your home or give up your bead stash if you decide to give it a try. And Cathy works you through the techniques methodically, helping you to build skill upon skill. 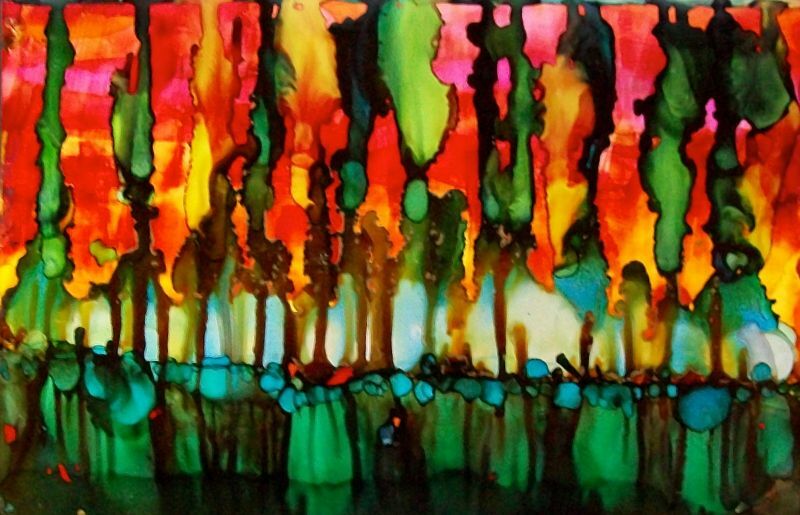 Now one caveat...you won't be able to use these inks to great effect on watercolor paper or most fabrics...they have to have a shiny surface to really come to life. But still...whether you decide to try working with these on the side, or take the challenge to figure out how to combine them with your jewelry making, they are some serious eye candy, huh? Cross-pollenation is a great way to describe artsy overlap! I like it. This book looks like fun, and the title is fantastic. 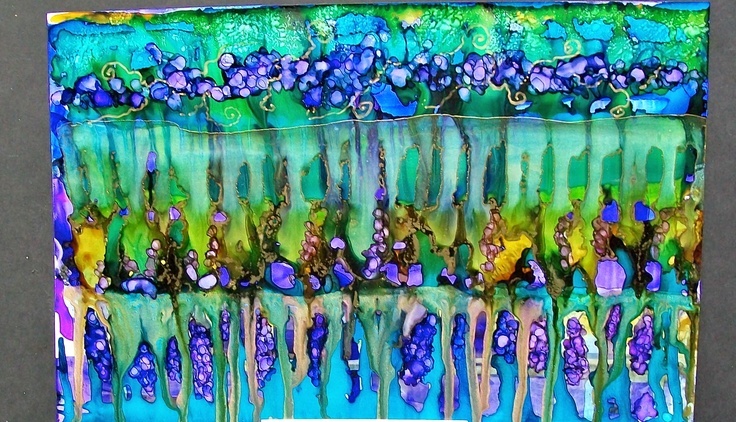 I took a class with Tonia (Davenport) Jenny a few years ago, and she used alcohol inks to color her plexi glass pieces. the effect was stunning!